Bridgeway may change this policy from time to time by updating this page. You should check this page from time to time to ensure that you are happy with any changes. This policy is effective from May 2018. Our Data Protection Registration number is ZA357048. when visiting our website we collect your IP address and information about your web browser. Please note: We may periodically send promotional email about new products, special offers or other information which we think you may find interesting using the email address which you have provided. We will do our best to keep these relevant and concise, and small in number, all so as to not to abuse this privilege that you have kindly granted us. By submitting your data to us you are in agreement for Bridgeway to store your supplied information on our servers. We are committed to ensuring that your information is secure. In order to prevent unauthorised access or disclosure we have put in place suitable physical, electronic and managerial procedures to safeguard and secure the information we collect. These include encryption of data in transit and of data at rest. 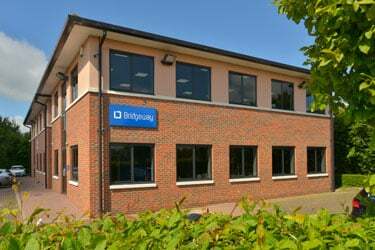 Bridgeway’s GDPR and Privacy contact is through the postal and email address noted above. Should you feel unsatisfied with our handling of your data, or about any complaint that you have made to us about our handling of your data, you are entitled to escalate your complaint to the Information Commissioner's Office (ICO). Contact information for the ICO can be found here. We will not sell, distribute or lease your personal information to third parties. However we may need to pass on information if we are required by law to do so. We may use your personal information to send you promotional information about third parties which we think you may find interesting if you tell us that you wish this to happen. Bridgeway do not knowingly collect or store any children’s data. We retain personal data while your account is active, or as needed to provide you services. We will delete personal data within a reasonable time after the data is no longer necessary for the business purpose for which it was collected. We will, however, retain and use personal data as necessary to comply with our legal obligations, resolve disputes, and enforce our agreements. If there are exceptional circumstances that mean we can refuse to provide the information, we will explain them. If requests are frivolous or vexatious, we reserve the right to refuse them. If answering requests is likely to require excessive time or occasions unreasonable expense (which you may have to meet), we will inform you. Duplicate requests may also levy a charge and you will be informed. The right to rectification - When you believe we hold inaccurate or incomplete personal information about you, you may exercise your right to correct or complete this data. This may be used with the right to restrict processing to make sure that incorrect/incomplete information is not processed until it is corrected. The right to erasure (the 'right to be forgotten') - Where no overriding legal basis or legitimate reason continues to exist for processing personal data, you may request that we delete the personal data. This includes personal data that may have been unlawfully processed. We will take all reasonable steps to ensure erasure. The right to data portability - You may request your set of personal data be transferred to another controller or processor, provided in a commonly used and machine-readable format. This right is only available if the original processing was on the basis of consent, the processing is by automated means and if the processing is based on the fulfilment of a contractual obligation.